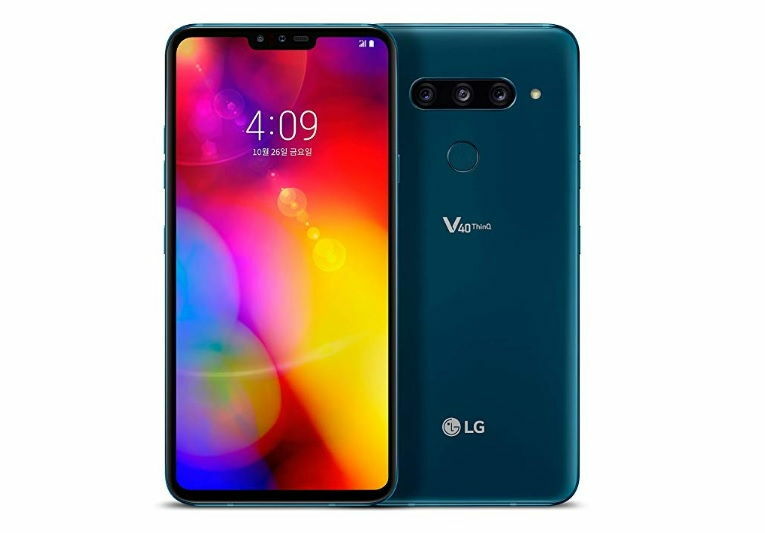 LG today finally made its five camera smartphone the LG V40 ThinQ available to buy in India. The phone has finally arrived in India and can be purchased via exclusively via Amazon India website for Rs. 49,990 ($700). The LG V40 ThinQ is currently in stock in two color options Platinum Gray and Moroccan Blue. Buyers purchasing the device now can also grab exciting offer on the device. Users buying the LG V40 ThinQ using their HDFC credit and debit card will be able to avail up to 10 percent instant discount. The company is offering one-time free screen replacement worth Rs. 16,750 ($235). Other offers include extra Rs. 5,000 ($70) off on exchange, no cost EMI and Rs. 2,000 ($28) cash back. The LG V40 ThinQ features a glass back panel. It comes with IP68 rated and MIL-STD-810G grade body and the device features 6.4 inches notched FullVision display with Quad HD+ resolution. The device is powered by Snapdragon 845 couple with 6 GB of RAM and 128GB internal storage that is also expandable up to 2TB with microSD card slot. Talking about the cameras, there is a 12-megapixel primary sensor with f/1.5 aperture, 3-axis OIS and dual pixel PDAF, a 12-megapixel telephoto lens with f/2.4 aperture, 2x optical zoom OIS and PDAF and a 16-megapixel ultrawide lens with f/1.9 aperture. On the front, the device featires an 8-megapixel + 5-megapixel dual camera setup for taking a selfie. On the software side, the device runs on Android Oreo 8.1 and a 3,300mAh battery powers the device. The device also supports 18W fast charging and 10W wireless charging through USB Type-C.
To recall, the LG V40 ThinQ was first launched back in October last year.